Academic essay writing is a usual assignment every student gets in the course of studies. The assignment can be time-consuming and require a lot of effort, but if you follow the guidelines you can complete the assignment quicker and more efficiently. The main task of the essay writing is to prove one single point with relevant arguments. Learn how to do it in the right way. Start your essay with a catchy sentence that can easily grasp attention of your target audience. Make them interested in the issue under discussion. Then, move to your thesis statement you’re going to prove in your essay. It should be clear and expressed in one sentence. Make it as precise and possible. Next, present a short outline of your essay. Usually, 4-5 sentences are enough for an introduction. End it with a sentence that will lead a reader towards the next paragraph of your paper. 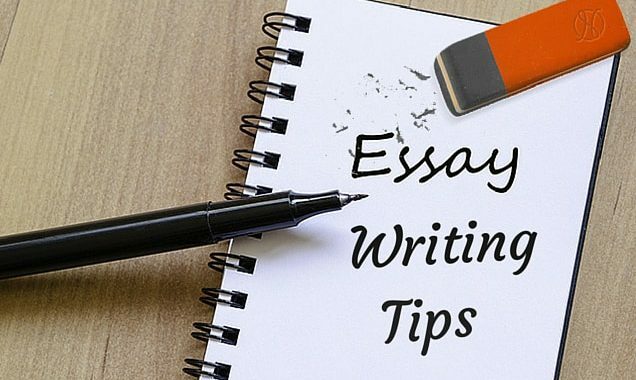 Don’t forget that introduction of the essay should be impressive and make a reader to study your paper till the end. This paragraph should give general idea about your point of view that will be underpinned with solid arguments in the following paragraphs. Body paragraphs (usually 3) are written with a purpose to support your thesis with examples and arguments. The strongest point of view should be stated in the first paragraph. Start every paragraph with a topic sentence, add supporting sentence to it, and end a paragraph with a bright example. The last part of the essay is conclusion. Now when you have provided solid arguments that underpin your thesis, you can restate it. Writing a conclusion is your last chance to impress and persuade the reader with your ideas. Give your reader some food for thought with the last sentence of your easy or make a call for action. Keep in mind this simple structure and try to move from one point to another logically. Think of three arguments that can contribute greatly to support your ideas. If you want to write a winning essay, you might need to spend some time surfing the Internet and burning the midnight oil at the local library. Provide a profound research on the topic, study every aspect of the question. Take notes or make copies from relevant resources and use them as reference or to underpin your ideas. Once you have reference materials, you can make a short outline of your paper. Just think what you’re going to state in the introduction, body paragraphs, and conclusion. Try to make a thesis statement argumentative, not descriptive. It should evoke discussion, not just state obvious things. When an outline is ready, proceed with writing the first draft of an essay. The moment it’s ready, leave a paper for an hour or two and, then, return to it to review and edit. Proofread a paper for spelling and grammar mistakes. You can use online resources to have a grammar check. Also, use a plagiarism checker to make sure your paper is cited in the right way and with accordance to academic requirements. Pay attention to the length of sentences, try to alternate long and short ones. This will make your essay easier to read. You can ask your friend or a professional editor to review your paper once again. Once all the changes have been done, type the final draft of an essay. Don’t forget about reference resources and cited materials. State all used resources according to the academic requirement. Using provided guidelines you can complete an essay before stated deadline. The important thing is to make a plan and complete the assignment step-by-step. If you follow these simple rules, you’ll complete every essay assignment with excellence. If you think that your writing skills are poor, you can improve them by constant practicing.